One of the most interesting political contests to watch is the race for John Cornyn’s Texas Senate seat. Cornyn is a 2-term incumbent with at least $8.5 million in his war chest and plenty of resources to tap for more. His number one challenger, who has been billed as a “Tea Party Favorite” by many in the media, started the race with just $32 thousand and still has not raised very much more. Stockman is clearly the underdog. Most experts scoffed at the idea that he even had a chance to win this race. Obviously Senator Cornyn was not laughing. Within hours of Stockman’s filing, a huge negative campaign arose with websites and Google ads and radio spots popping up so suddenly that one can only conclude that Cornyn anticipated the challenge and had an armory of weapons ready to annihilate the upstart before he could gain any traction. Not only did attacks from Cornyn and Super PACs supporting him commence firing the big guns, one of the seven other challengers in the race soon shifted his aim against Stockman rather than against Cornyn, as traditional campaign wisdom would dictate. The pummeling that Stockman has withstood over the weeks since filing in November has been relentless and merciless. In addition, although Stockman withdrew his filing to run for re-election of his Congressional seat (TX-36) when he filed to run for Senate, he did not resign his job as a Congressman. The job requires him to be in Washington DC four days a week and to travel back and forth in order to have any time at all to campaign—or to do anything else. That means that Stockman has barely even defended himself against the attacks from two sides. By all rights, we would expect Stockman to be pounded into insignificance in the contest by this time. But he is not! Our information has it that a poll that will be released on Monday shows that Senator Cornyn, who started at 50% at the time Stockman entered the race and who has spent millions of dollars promoting his campaign and more millions attacking Stockman as being “shady”, is still at that same 50%. Meanwhile, Stockman, who is running with virtually no money and very few hours a week to devote to campaign, has risen from the 6% he was at when he initially filed to a very respectable 21% today, with the half dozen other challengers all trailing far behind. There was a very famous boxer named Rocky Marciano, on whom the Rocky Balboa character was loosely based, who was known to be so tough that he could let his opponent pummel him until his arms were too tired to punch any more and then Rocky would step in and finish him off. One can not help but see the comparison to Stockman. Not many in politics could withstand the beating that Stockman has taken and even fewer could move the ball forward while the pounding is going on. But, this is not the first time Congressman Stockman has done this. In fact, it appears to be somewhat typical of his campaigns. In 1994, Stockman, a conservative Republican, won election to the House in a district that was 60% Democrat with a 42-year incumbent who was one of the most powerful men in the House and who had virtually unlimited money to spend and no compunctions about viciously attacking an opponent until he was beaten into a quivering mound of jelly. And, Congressman Jack Brooks certainly did not restrain himself in his attacks against Stockman. He outspent Stockman 12:1 and seemed confident of a victory up until the final tally when Stockman emerged victorious. Then in 1996, after redistricting that gerrymandered his district (TX-9) to be even less friendly to a Republican, he was unseated. Again in 2012 Stockman faced an opponent who spent more than ten times what Stockman spent and who thought he was sailing to an easy win when Stockman seemingly arose from his political death bed to win a shot at a runoff, then to win the runoff and then the general election to make him the first Representative for the new Texas Congressional District 36. Now, it appears he may do it again. Just a few weeks ago nobody gave him a prayer to win the Senate seat and many said he must be crazy to walk away from a certain win for his re-election to the House in order to run for the Senate. It will be interesting to see how their assessments will change on Monday when the poll results are published. 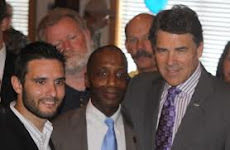 Stockman has a very strong record of winning runoffs and if Cornyn can not get at least one vote above 50%, he will have to face “Rocky” in a runoff—it is like seeing Marciano step toward you when you are too tired to lift up your arms. Wish Stockman would step up to the plate & disclose his income earnings, as all other TX Congressman have. If Rocky would be truthful & abide by the rules of income disclosure as have all other TX Congressmen, and Senators, then he wouldn't have to worry about "fighting", & he could do his job. More importantly, why didn't he & other US House members make a Stand Alone bill, treating Obamacare as a Tax, which Supreme Court 2010 ruled it was, which the House, having Republican majority, would've shot down, then the Bill would've gone to Dem-controlled Senate, which wouldn't have agreed to it, so would've gone back to House, which had already said they would not approve, as it was a "bad tax" in this Bill, where it would've sat & died on the vine by itself-- instead of putting O-care on federal budget, treating as if it were another expendable or "expense" item. Instead, they should've treated it like it is-- a "tax"! THEN, the House would've & could've defeated Ocare as a TAX, because US Constititution vests the power to tax ONLY in US House of Representatives! They alone have the job of taxing/or not, and appropriating funds. THAT is THEIR job, in this thing called Balance of Power. Our Founding Fathers wrote our Constitution that way, because they wanted a Nation for the first time in history that would put the power to tax in the hands of the PEOPLE, and that means the House, as it's based on the Population of the State, or number of People! For the first time ever, said our FF, THIS would be a Nation-- OUR, the PEOPLE'S NATION-- where the PEOPLE would have the power to tax, unlike Governments down thru the ages, even back to Egypt, where Kings, Monarchs, & Pharoahs lived "high on the hog", reaping the benefits of the hard-grinding peons beneath them toiled their fingers to nubs, while these, the PEOPLE, worked like slaves and had no say-so about taxes and where the money went! THAT is WHY James Madison & our Founding Fathers said the HOUSE-- which the PEOPLE represent-- has the sole authority to tax or not to tax! And the current House of Reps fumbled the ball!-- heck, they didn't even know the ball was in their Court, because they do NOT apparently understand the US Constitution and the power it has vested in the House! All of Congress-- the House AND the Senate-- needs a Course in US Constitution 101! If the Republican House had done it's job, there would've NEVER been a Government Shutdown, because this House would've exercised its power vested them in the US Constitution! We've got a lame Congress-- all except for Ted Cruz, who is the only one up there exhibiting the Courage of our Founding Fathers. We need more like HIM! Getting something actually done, by using the US Constitution to do it, & not just talking! Another thing, Congress should've already started Impeachment against Obama Jan., 2013, the first day taking office!-- & all Bills start in the House! WHERE was Stockman on all of that?! Was he doing his job? All Bills start in the House...think about it when it comes to Taxes & Impeachment!!! Where is all the Guts & Glory now?! I haven't seen it ANYwhere, except in Ted Cruz! So if Rocky wants to start showing any courage at all, he needs to step up to the plate, get real, disclose his income earnings like a Big Boy, & play fair, like the Christian he portends to be, or take a cruise to the Caribbean.